The weekend that just passed by was great for me. It revived me after a bout of ill health. The weekend started with a fantastic movie. 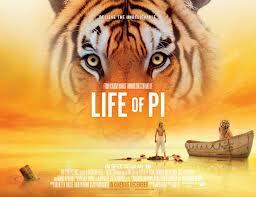 My fiancee took me to "LIFE OF PI" movie. Even before the release of the movie, I was so excited to see it. The novel is my all time favorite. Its a masterpiece work of fantasy,adventure and spirituality mixed in right proportions. I had a wonderful experience reading the book, hence had a huge expectation on the movie. Coming to the movie, it is definitely a visual treat. 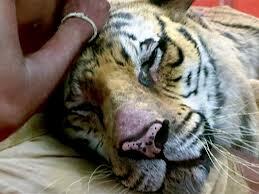 The 3D works are amazing and the Bengal tiger -Richard Parker is an animation! One can't believe that the tiger is an animation. In one particular shot were they show the close up of the Parker's eyes with all fear of drowning and its plea to PI to save it -WOW ! The carnivorous forest is another treat. Visuals are breath taking.I felt a pang of disappointment with the content of the movie. From my view point, the very spirituality of the story is lost in the making of the movie. Somehow, I couldn't connect to the movie. The struggle for existence and the philosophy of religion are better brought out in text than in visuals.Definitely the movie can be watched for the 3D experience. The other movie that i enjoyed was "Neer paravai". I haven't seen the director's first movie "Thenmerku paruvakatru "- a critically acclaimed and national award winning movie. Watching this movie was like reading a novel for me. It kindled my spirits to read all my fav novels like "Chemmen" & "Kadalpurathil"
Sensational story, clear & crisp screenplay,subtle yet powerful dialouges and pakka casting= Neerparavai.The background score and songs could have been better. 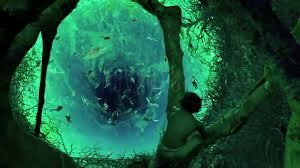 The never ending threat faced by Rameshwaram fishermen in the sea border is dealt with emotions in the movie. The Neithal (sea and its shore)land has been well captured. 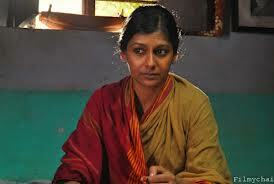 My favourite actress,Nandita das has donned the lead role. This is a must watch. 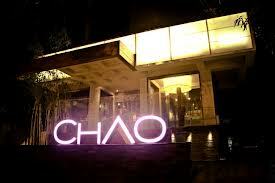 The week ended with a calm lunch at a thai resturant called"CHAO". The ambience was good with images and statues of Buddha all around. It gave a sense a serenity.After a chaotic week, the ambience itself was relaxing. Food was good and service decent (Though they gave me sambal fried rice instead of basil that i ordered- again it was due to some confusion that we created). Altogether it was a wonderful weekend with good food , movies and rest! hi! i see that you also were stunned by movie's beauty... it was a very good experience for as well..rest, you saw my post. thanks for stopping by. Hi , I too read the book & then watched the movie. The movie is really good in showing the beauty, but I felt the book's story was better. The tiger was more fierce, Pi more hardworking and the zoo was well described. Be it in book or movie, I couldn't get the spirituality, it was more adventurous & the spirit for survival.